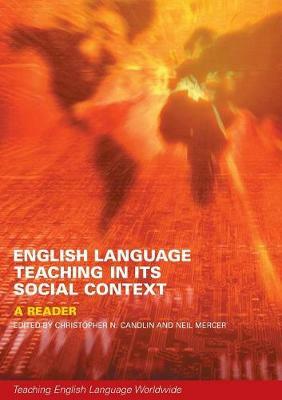 English Language Teaching in its Social Context offers sociolinguistic, ethnographic, and social-psychological perspectives on TESOL teaching and learning and introduces the relevant literature on second language acquisition. Together with its companion volumes, it presents English language teaching in a variety of specific institutional, geographic and cultural contexts. * examine both positive and negative patterns of interaction between learners and teachers. This Reader offers people unfamiliar with research in this field an overall impression of English language teaching issues while allowing the more experienced reader the opportunity to relate his or her own experiences to the theories presented.